The Green Party's 2017 Manifesto for Gender Equality continued our track record of supporting the right to chose. Greens would decriminalise abortion, and ensure equal access throughout the UK. 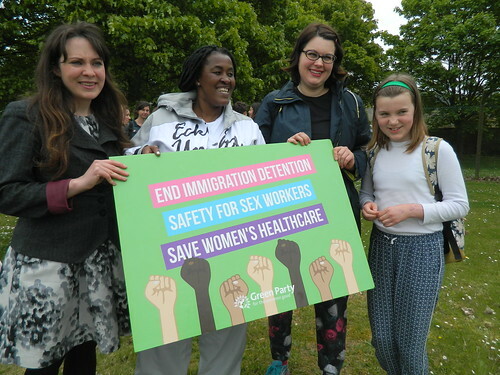 The Green Party has been a firm suppoter of the #WeTrustWomen campaign, with its members voting to make the decriminlisation of abortion Party Policy. Reinstate our sexual health services. Since the introduction of the Health and Social Care Act, passing the responsibility for sexual health to councils, many centres providing contraception and maternal healthcare have reduced opening hours. The Green Party would reinstate and expand these services, providing high quality sexual health services for all.